Celine Marie Claudette Dion is a Canadian singer, occasional songwriter, actress, and entrepreneur. Born to a large, impoverished family in Charlemagne, Quebec, Dion emerged as a teen star in the French-speaking world after her manager and future husband Rene Angelil mortgaged his home to finance her first record. In 1990, she released the anglophone album Unison, establishing herself as a viable pop artist in North America and other English-speaking areas of the world. The album-matching folio to Album of the Year and Best Pop Album Grammy winner. Reflecting on the birth of a child, this comforting album is soft, gentle, and sentimental with a more restrained and quiet approach to the vocals. Fans will love our album-matching folio which includes special color photos of newborns by world-renowned baby photographer Ann Geddes. Celine Marie Claudette Dion is a Canadian singer, occasional songwriter, actress, and entrepreneur. Born to a large, impoverished family in Charlemagne, Quebec, Dion emerged as a teen star in the French-speaking world after her manager and future husband Rene Angelil mortgaged his home to finance her first record. In 1990, she released the anglophone album Unison, establishing herself as a viable pop artist in North America and other English-speaking areas of the world. This album-matching folio features eight pages of beautiful, full-color art and photos. Celine Marie Claudette Dion is a Canadian singer, occasional songwriter, actress, and entrepreneur. Born to a large, impoverished family in Charlemagne, Quebec, Dion emerged as a teen star in the French-speaking world after her manager and future husband Rene Angelil mortgaged his home to finance her first record. In 1990, she released the anglophone album Unison, establishing herself as a viable pop artist in North America and other English-speaking areas of the world. This album-matching folio contains the hit single "I Drove All Night," an incredible recording of the Roy Orbison classic. Also included are additional pages of black and white photos and full lyric pages. Winner of 5 Grammy Awards, 10 World Music Awards, 7 American Music Awards, and 21 Juno Awards, French superstar Celine Dion is back with her latest album, Taking Chances. Best-known for the No. 1 single, "Taking Chances," the album was released internationally to critical acclaim. To celebrate, Celine kicks off her "Taking Chances Tour" in February of 2008. This songbook introduces the album-matching folio to Celine Dion's Taking Chances. Music includes lyrics, melody line, and chord changes with professionally arranged piano accompaniment. Celine Marie Claudette Dion is a Canadian singer, occasional songwriter, actress, and entrepreneur. Born to a large, impoverished family in Charlemagne, Quebec, Dion emerged as a teen star in the French-speaking world after her manager and future husband Rene Angelil mortgaged his home to finance her first record. In 1990, she released the anglophone album Unison, establishing herself as a viable pop artist in North America and other English-speaking areas of the world. Celine Dion: All the Way. . .A Decade of Song & Video collect sixteen music videos and live performances from the French-Canadian chanteuse. Included are promotional clips and performances of such fan favorites and hits as "The Power of Love," "It's All Coming Back to Me Now," "Because You Loved Me," "My Heart Will Go On," and "It's All Coming Back to Me Now." Featured in Celine Dion's most recent New Day Has Come CD, this Harry Warren song is a true pop standard. 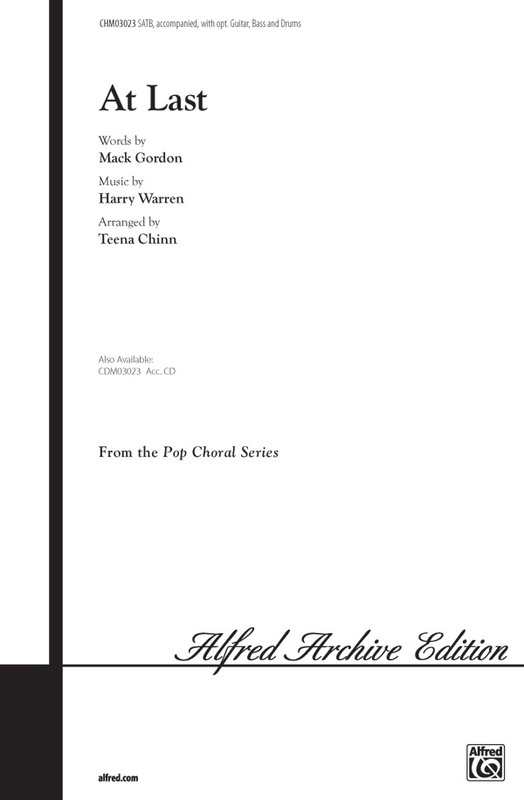 Your singers and audiences will all enjoy this Teena Chinn arrangement for years to come. Celine Dion's Academy Award-nominated mega-hit has developed a life of its own. It has helped assure Celine of her newly found superstar status! Jeff Funk created the wonderful arrangement and we've added optional sign language to the chorus to add a touch of class and sensitivity to any performance. John Lennon's contemporary Christmas single was covered by Celine Dion on her phenomonally successful Christmas album. A great feel-good anthem for holiday programs! Available: SATB, SAB, SSA, ShowTrax CD. Performance Time: Approx. 4:00. The story and characters audiences know and love come to spectacular life in the live-action adaptation of Disney's animated classic Beauty and the Beast, including this stunning new song, as performed by Celine Dion. Celine Dion has become one of the most recognizable vocal artists of the past decade. Her one-woman show, currently playing in Las Vegas, presents her versatility and extraordinary talent. 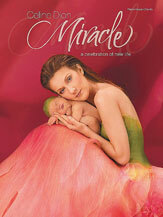 Teena Chinn has captured the excitement of Celine's recent Miracle CD by creating this choral medley including: "Miracle," "What a Wonderful World," "First Time Ever I Saw Your Face," "If I Could," and "A Mother's Prayer." The medley is approximately six minutes in length. Celine Dion's powerhouse love theme from the blockbuster movie Titanic says it all! Available: SATB, SAB, SSA, 2-Part, ShowTrax CD. Performance Time: Approx. 4:30. The popular love theme from the hit movie Titanic, originally recorded by Celine Dion, is now available in an exquisite setting by Kirby Shaw. The essence of this very moving, emotional ballad, with its haunting melody and tender lyrics, is beautifully captured with word painting and lush harmonies. Guaranteed to create a moment of sheer magic in your concert. The first single and title track from Celine Dion's 2007 album, this powerful song is a celebration of life and love. Ideal for graduation and many other concert programs, your choir will shine! Available separately: SATB, SAB, SSA, ShowTrax CD, Duration: ca. 4:00. This 1998 hit by Celine Dion was memorably covered by Lea Michele on Glee in a powerful rendition that explored the depth of the emotional lyrics. This selection offers challenges and rewards for pop, jazz, show and concert choirs looking to create a touching concert moment! Ideal for Valentine's Day, prom or other romantic occasions!